Motor mower Corona Mini provides a response to market demands for smaller, but reliable and robust mower. It is based on a mechanical transmission which has two speeds forward speeds and one reverse speed. 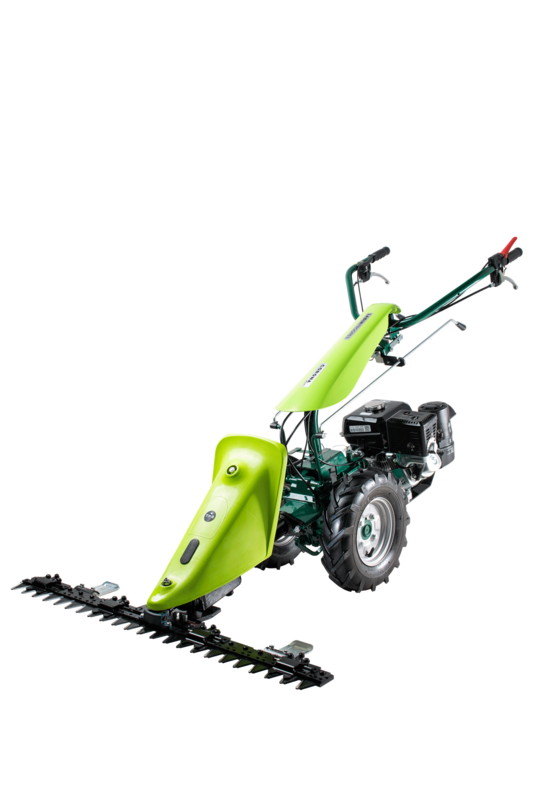 Mower is equipped as standard gasoline engine Kohler CH 270 with 7 HP and wheels 4.00×8 “. Universal charge drive mechanism is compatible with different cutting mechanism width ranging from 100 cm to 127 cm. 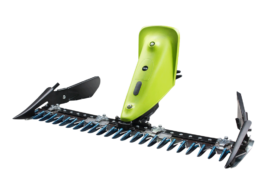 Main its purpose is to cut the grass, forage crops, herbs and grains. 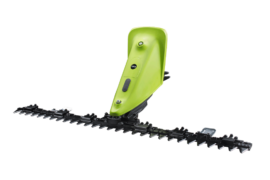 It is especially suitable for work in mountainous terrain where it is not possible to operate large machinery. 2 forward and 1 reverse. Single drive axle- with unlocking possibility trough lever on handlebars. MOTOR-STOP shuts down the engine immediately, thus preventing any possible accident, should the handlebars accidentally slip out of the operator’s hand.